In July, the wildebeest migration moves north, passing through the Lobo area (area just north of the central Serengeti National Park) and the Wagakuria area (remote northern Serengeti National Park along the Mara River) en-route to Kenya’s Masai Mara Game Reserve. The migration can arrive to the Wagakuria area anytime from July on wards and wildebeest can be seen in the area, crossing the Mara River. In September the wildebeest herds are spread out over the northern Serengeti National Park and Kenya’s Masai Mara Game Reserve. Several large herds of wildebeest remain behind in the area and sometimes weather changes can bring the herds back into the area from the Mara. In October, the herds move south towards the central Serengeti National Park via the Lobo area of the Serengeti National Park. Arrive anytime at Kilimanjaro International Airport (JRO). We will arrange a private transfer from Kilimanjaro International Airport (JRO).To Arusha at Arusha coffee lodge where the rest of the day is at leisure. We stay at Arusha coffee lodge which is beautifully located on the coffee farms and is a perfect place to prepare for your adventure. Day3: Full day in Tarangire National Park. The day starts with an early breakfast and then a morning wildlife drive in Tarangire National Park with picnic lunch inside the Park. Baobab trees, herds of elephant, lions and occasional leopards inhabit the riverine forest. After lunch we will continue our wildlife drive and eventually return to the lodge for dinner. Overnight. At Lake burunge tented camp -F/B Note: Tarangire is another one of those Parks that tourists hurry past on their way to Serengeti. This is a big mistake that we won’t make! 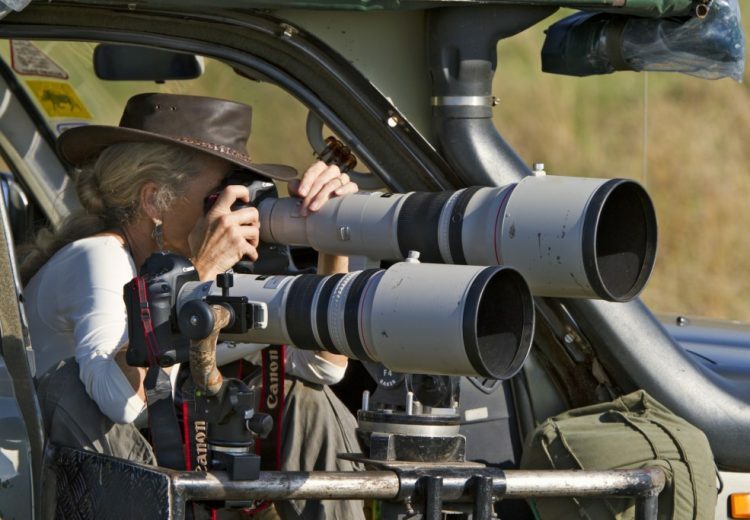 We will descend over 600 meters into the crater to view wildlife for an afternoon safari tour. Supported by a year round water supply and fodder, the Ngorongoro National Park supports a vast variety of animals, which include herds of wildebeest, zebra, buffalo, eland, warthog, hippo, and giant African elephants. Another big draw card to this picturesque national park, is it’s dense population of predators, which include lions, hyenas, jackals, cheetahs and the ever-elusive leopard, which sometimes requires a trained eye to spot. We will visit Lake Magadi, a large but shallow alkaline lake in the south western corner, which is one of the main features of the crater. A large number of flamingos, hippos and other water birds can usually been seen here. After breakfast we will head towards the Serengeti National Park, leaving the highlands behind, we descend into the heart of wild Africa – the Serengeti National Park – with its endless plains, rolling into the distance as far as the eye can see. We head to the Lobo area which is located just north of the Seronera area (central Serengeti National Park). The wildebeest migration, normally pass through the Lobo area every year around July / August en-route to the Kenya’s Masai Mara Game Reserve and again in late October / November en-route to the southern Serengeti National Park. Dinner and overnight in the Lobo area, as per the standard and type of accommodation option requested. After breakfast, enjoy a full day game drive in the Serengeti National Park. The area around Lobo and the Grumeti River has good resident game throughout the year. Non-migrating game like elephant, buffalo, gazelle, zebra, lion, leopard and cheetah can be seen here all year round. The game viewing is very good and you can follow game for long periods without seeing other vehicles – truly one of the forgotten corners of the Serengeti Plains. Magnificent riverine trees can be found along the river lines and bird life such as kingfishers and fish eagles can be found here. After breakfast we head towards the far northern reaches of the Serengeti National Park, also known as the Wagakuria. We will do a game drive en-route from the Lobo area to the Wagakuria area. As we head north, good sightings of giraffe, plain game, herds of buffalo and elephants can often be seen. We arrive in time for lunch at the lodge and after lunch will we enjoy an afternoon game drive in the area. The wildebeest migration can normally be found in the Wagakuria area from August to October, depending on rainfall patterns. A long stretch of the Mara River runs through the northern Serengeti National Park and the Mara River provides the migration with its most difficult obstacle. Witnessing the frantic herds of wildebeest crossing the Mara River is amazing. Dinner and overnight in the Wagakuria area, as per the standard and type of accommodation option requested. After breakfast enjoy a full day game drive in the Wagakuria area. Resident wildlife numbers are exceptionally high in the Wagakuria area, with prides of lion up to 30 strong, however from August to October the area turns into a wildlife paradise. The key feature is the Mara River and it is not uncommon to see the herds cross the Mara River north on one day and then back south a few days later. Please take note – to actually finding a crossing is very difficult and is sometimes a matter of luck. A herd can be seen next to river and only decide to cross or not cross until a couple of days later. This area is a stunning region with kopjes, woodland, riverine vegetation and open plains, similar to Kenya’s Masai Mara Game Reserve. *SSR = Single Supplement Rate for a non-sharing person in a room Supplements: All Lodges & Tented Camps: US$ 35 p/p/p/n applicable on 25 to 28 March 2019 & US$ 40 p/p/p/n applicable on 24, 25, 26, 31 Dec & 1 Jan.
Children Rates: (Children 3 to 11 years old) sharing room with 2 adults pay 60% of adult rate / Children sharing own room with other children pay 80% of adult rate / Children sharing room with 1 adult pay 100% of adult rate. No discount on holiday and other supplements. Transfer from safari lodge to Kogatende airstrip – 15kg luggage allowance per person including hand luggage.